Insights and Innovations for Machine & Equipment Builders, the free seminar taking place at our premises on the 27th June 2018, is drawing closer. Our countdown continues with a preview of our Keeping Your Critical Assets Cool session, which will be jointly presented by Rittal and Lutze. There are many considerations when designing an electrical enclosure to guarantee high efficiency, cost reduction and optimal reliability. In this presentation, Rittal and Lutze will overview some very important points, such as choosing the right cooling equipment for the environment, positioning of electrical componentry and the value of regular maintenance checks—and detail how (when all of these requirements are met) it can have a positive impact on your processes in the long-term. In modern control cabinets, components are tending to become more compact. This, however, does not lead to a reduction in heat dissipation. Also, the problem of so-called ‘Hot spots’ is getting more relevant. These are areas in which ‘heat generating components’ can create stresses on the adjoining components, leading to a possible local temperature increase to >45ºC. For components within the ‘hot spot’ or within close proximity, premature ageing can occur. Lutze will discuss these issues and provide practical concepts on how to reduce these problems in the design of control panels. Rittal will detail the considerations that machine builders should undertake when designing a protective environment for their control equipment; Things such as choosing the right type of enclosure for the environment of the finished product, heat considerations and what type of cooling can be utilised, dependent upon where it’s installed. Founded in 1958 in Weinstadt, Germany, Lutze has been a pioneering force in automation over the past 60 years. Designing and producing electronic and electrochemical components, Lutze is a major investor in research and development in the industry. You can learn more about Lutze on their website here. 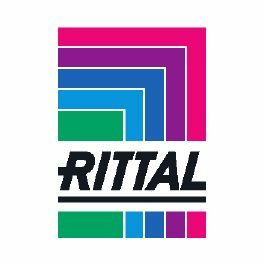 Since its founding in 1961 in Rittershausen, Germany, Rittal has grown into a leading manufacturer of enclosures for use in industrial settings. They are responsible for “Rittal – The System.”, the system platform designed to be a complete solution for climate control, power distribution and more. You can read more about Rittal’s products and services here. You can register your interest and book a space for the entire day or specify your interest in either the morning or afternoon session by filling in the form below.